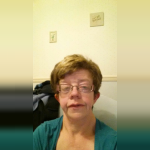 My name is Lisa, I am a 50 year old living in the Fawdon area, of Newcastle upon Tyne. I have been a Nanny for the last 14years. I have cared for children from the age of 9 months - 11 years, as a lone carer and supported a mum through her maternity leave. Leading on to caring for her two children aged 8 and 11 at the present time. I started this role with the oldest been 1.5 years, taking her to groups and one to one play sessions appropriate to her age and development leading into preparing her for school and now into helping with homework and reading. Within this post I also supported mum during her maternity leave for her second child and returning to work, leading on to sole daytime carer through her preschool years. Which involved taking the child to groups, and toddler activities. As well as one to one play and craft times and outings. All of this enabled her to grow and develop. Leading into preparing her to go to school. Recently my role has changed and mainly includes collecting from school at the end of day. leading on to completing homework tasks, for both children. Taking both to after school activities. Often leading into preparing a meal, bath time and bedtime routines. I feel this year is time for a new challenge and looking for the right full time job. I have also been involved in children's work through babysitting, been both a Guider in Charge and Assistant Guider of a Brownie Unit for the last 20 years and a Sunday School Teacher. Currently I am available all day monday, and between 9.00 - 2.30pm tuesday to friday and Saturday / Sundays. Due to my experience I hope you feel I might be the appropriate person to care for your special bundle of joy and look forward to hearing from you. Over 14 years within a vast range of roles both work and voluntary work related. Registered to accept childcare vouchers or paid via childcare scheme. to be discussed with family. Below are the latest reviews for lisa. Please note that reviews represent the subjective opinions of other Childcare.co.uk users and not of Childcare.co.uk. Parents must carry out their own checks and references on childcare providers to ensure that they are completely happy before enaging in the use of their services. Lisa took care of my 4 months baby ,she is a very nice , kind , reliable . me and my little family loved her very much .